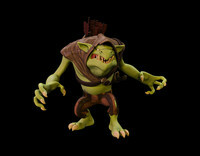 The aim was to create a rig that was as easy to animate as possible but still give as much control as possible. In my opinion - for the amount of control you have, this is probably the easiest rig to animate with in 3ds max. Full IK/FK blending on the arms and legs. Simple yet extremely versatile spine and head setups. Squash and stretch parameters on all parts of the body. Twisting and volume preserving bones on all limbs. Soft IK extensions on all limbs to reduce popping. Finger controls with preset poses. Character pipeline tools for adding extra objects, defining a prefix, assuming skin pose, select all and delete all rig objects. Also available is a script to resize the skeleton rig to any size you wish. 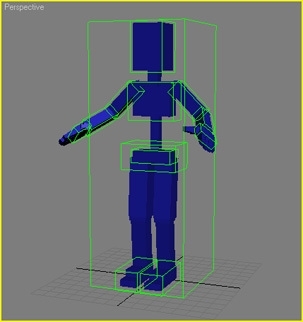 Full resizing of all rig parts to fit any bipedal character. Twist joint number options for smoother deformation twisting. Loading and saving of rig dimensions. Script for saving dimensions from older skeleton rig versions. 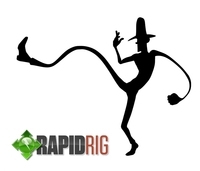 The resizing script is also available from https://www.bradnoble.net/rigging/skeleton_rig.html.